Prayer hijab online | Printed | Large Khimar | Georgette fabricProduct details"Instant Hijabs"..
Kaftan abaya online- Embroidered kaftan abaya with a complementary HIjab | Koshibo fabricProduct det..
Abaya online- A-line abaya with a complementary HIjab | Koshiba fabricProduct detailsThis A-line aba..
Abaya online- Front open abaya with a complementary HIjab | Koshibo fabricProduct detailsThis embroi..
Cotton Pathani suit for men online in India- Light Green Color Product details This pathani kurta ..
Cotton Pathani suit for men online in India- Orange Color Product details This pathani kurta is a ..
Cotton Pathani suit for men online in India-Purple Color Product details This pathani kurta is a b..
Abaya online- Dual colored abaya | Nida Matt fabric Product detailsGo for this Whimsical Dress .. Wooden made Islamic wall frame in Star Design, Home decor Beautiful Arabic Wooden Calligraphy of Ha..
Cotton Pathani suit for men online in India-Off White Color Product details This pathani kurta is ..
Nida abaya, layered naqab, umbrella cut, side and front slit burqas, kaftan, beads and stone embellished, embroidered abayas, dual coloured skirt type, A-line, kimono abaya, gown/maxi dress type, denim coat style, flared burqas, dubai style, saree style, two and three piece abayas, frock style, coat style, dhoti style, frilled party wear abayas, dori work, velvet jilbabs, lycra, chiffon, georgette, stretchable and laced abayas. 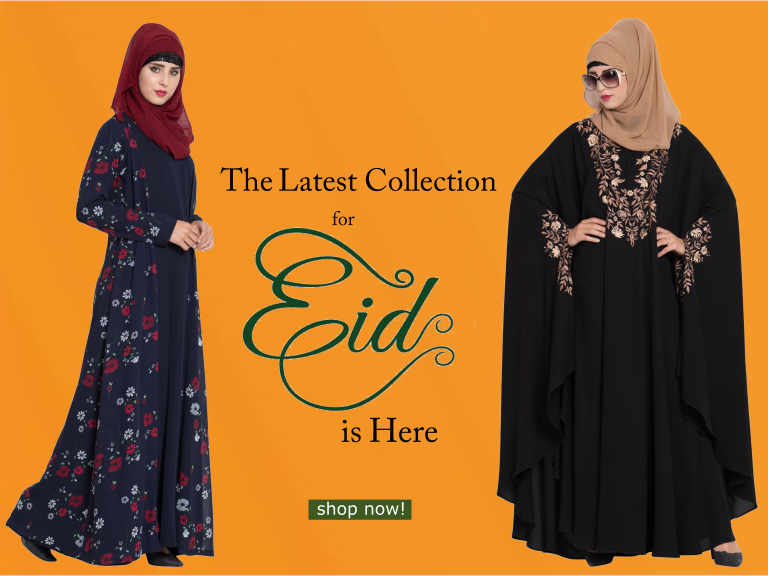 Hijabs: Mariam hijabs, al-amira, makhna, square and rectangular hijabs, bridal designer hijabs, classic shayalas, jumbo/prayer hijab, bead work, embroidered, stone embellished hijabs, plain and printed, floral, mix printed cotton hijabs, jersey hijabs, chiffon, georgette, rayon, crepe and cotton silk hijabs. Scarves and stoles: Floral and polka dotted, jewellery attached, multi coloured, printed, plain scarves and stoles, cotton, crepe, rayon, georgette, silk and chiffon fabricated scarves and stoles. Under Hijabs: Jersey hijab band, glitter bonnet cap, lace hijab band, tie back bonnet, cotton bun style bonnet cap, turban cap style, designer and printed under hijabs. Pathani suits: Chinese neck and collared, linen and pure cotton pathani suits. Pyjamas: Aligarh pyjama, pant cut pyjama, salwar cut and churidar pyjama online. Metallic and wooden Islamic car hanging, car dash board Islamic travel dua, hand gloves, full length black socks, Afghani pakol hat, Turkish hat. Al- harameen Islamic door bells, clocks giving azan, interactive toy for learning Quran and namaz, Islamic men’s metallic and leather wrist watch azan watch and Quran reading pen.